At Baselworld 2017 Jean-Claude Biver was just two months into his role as interim chief executive of Zenith but he was wearing a remarkably intriguing wristwatch that was shown only to a handful of people – the Zenith Defy Lab. Having neither a balance wheel or hairspring, the movement relies on a rapidly vibrating, tensioned silicon component to keep time. Appearing to rely on mechanical principles explored in prototype movements like the Parmigiani Senfine and De Bethune Resonique, neither of which appear close to serial production, the new Zenith calibre will make its debut in September 2017 as the limited edition Defy Lab in the ultra-light Aeronith alloy before becoming widely available next year. 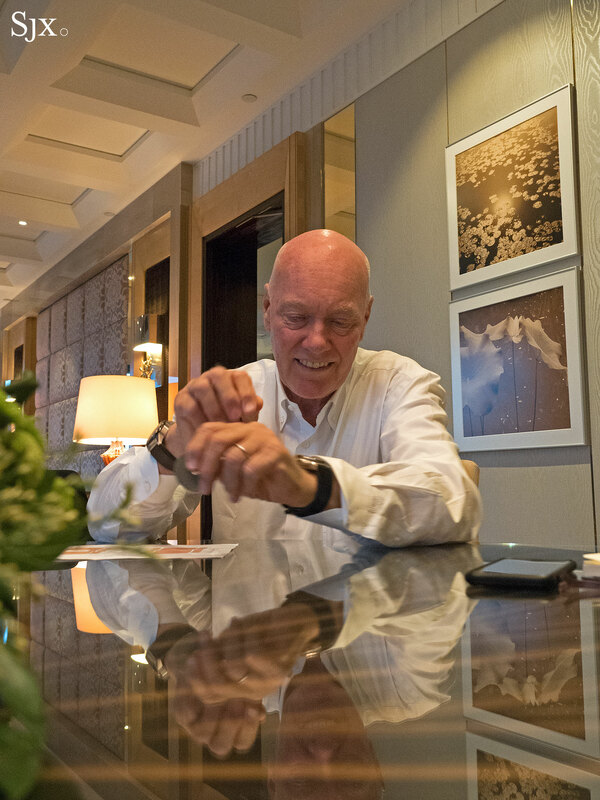 Here’s the scoop on the new calibre, excerpted from a recent interview with Jean-Claude Biver conducted in Singapore. The full interview will be published later this month. Jean-Claude Biver (JCB): It’s a regulator that has no hairspring, no balance wheel, needs no oil, where friction does not exist, and is accurate to one second in 24 hours – the most accurate mechanical watch ever. And it is a regulator that has 100% amplitude when it is fully wound, but also 100% amplitude one minute before the power reserve is empty. It’s the first time since 1656 [when Dutch scientist Christian Huygens invented the pendulum clock] that there is a new technology in regulators. I said before Zenith is the future of tradition. Tradition was Huygens with the pendulum and we are doing the future. It’s a world first that will be launched September 14, 2017 in a museum in Munich [Ed’s note: Deutsches Museum], because the Germans are crazy about accuracy and precision. First, we will create 10 unique pieces with this new regulator. Each collector who wants to buy cannot get the watch unless he flies to the factory. And included in the price is a first class air ticket. And I will hand it over directly to him when he comes over to Switzerland. So whoever buys the watch cannot get it from a retailer, he can only get it from me. JCB: The 10 pieces will be called Defy Lab. These are the 10 experimental watches and an experimental watch is of course more expensive than an unlimited production watch where we do 5000 per year. But the final watch, which will be launched at Baselworld 2018, will retail for around 8000, 9000 Swiss francs. So those will be in the normal Zenith price range. JCB: The 10 first pieces will be made in an incredible material, the lightest aluminium. Hublot developed this incredible, ultra-light aluminium called Aeronith. So you will have a world first in the material and you will have a world first in the movement. This new material is huge. I can tell you now how this material is made. It is based on the principle of a sponge. What is special about the sponge are the holes inside. And when you put the sponge in water, the water fills the inside and the sponge becomes much heavier. If we make an alloy of aluminium and have the inside like a sponge, what will happen? You will weaken the aluminium. Aluminium is already very fragile. But can we make holes inside but make it very hard like carbon [composite]? We said yes. As we have a carbon factory [at Hublot], we make our own carbon [composites]. 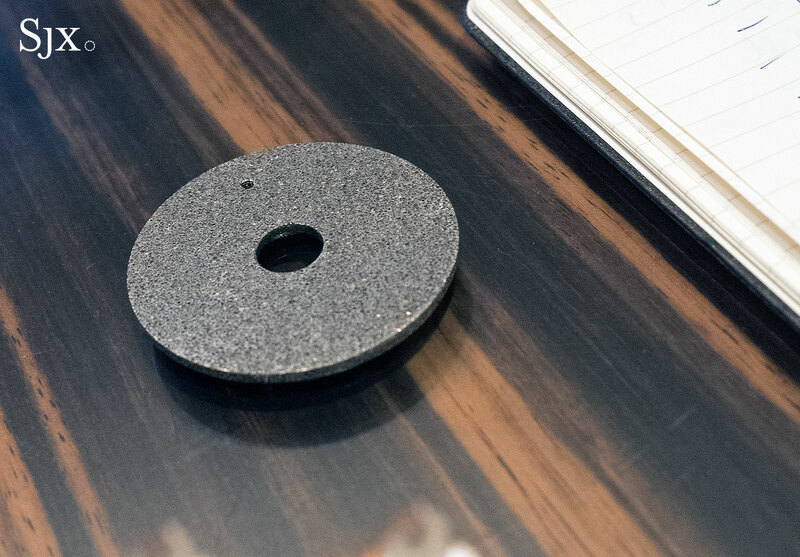 If we treat this aluminium sponge with the same treatment as our carbon fibre – the carbon fibre is flexible like linen fabric – it becomes hard. If we could treat this aluminium the same way as carbon, and we put inside the holes the same resin use for carbon, the aluminium becomes even harder. Now you see it looks a little bit black because of the resin. But we can make it red [or any other colour]. It will be used in the new Defy case. It can also be used in a movement by the way, but it will not be used in the new movement that you are going to see in Basel. But in later stages it can be used in the movement. The LVMH watch chief replaces Aldo Magada at the watchmaker famous for its El Primero chronograph.